In September of 2017, by means of a public letter sent to the AFA, the players of the Argentine National Team announced a stoppage until “structural problems” were solved, with three basic requests: the payment of per diem; good conditions of training and rest in a hotel when traveling. This claim had an antecedent that strengthened their claims, since in a friendly against Uruguay, in Montevideo, the players had slept in the micro until the hour of the match. 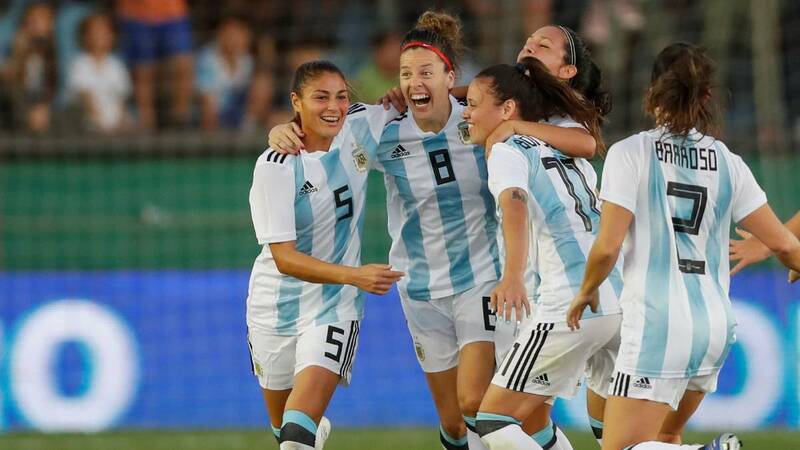 Now, in Argentina, the revolution of women’s football won the battle and finally today we can say it’s official: Argentina is going to have a new reformed Women’s Football League, and their players are finally going to be treated and paid as professionals. 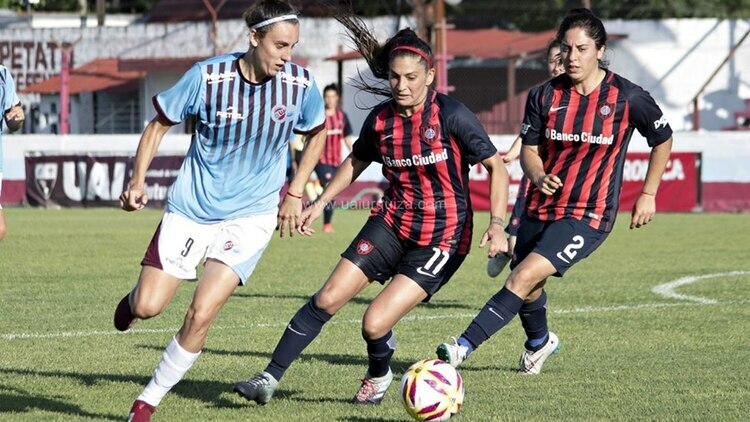 Macarena Sánchez Jeanney, the player who led the fight for professional women’s football in Argentina, will become today, 12th April 2019, a footballer from San Lorenzo de Almagro and will sign, along with other players from the Boedo club, a professional contract for the first time in Argentina’s history. The signing of the first contracts of professional women’s football, after an agreement of the clubs with the Argentine Football Association (AFA), will be held at 15 in the New Gasometer, when it will be announced to “Maca” Sánchez as the new front of the cyclone. “Fight and return”, posted yesterday on his Twitter account @Macasanchezj, who during the last months was extremely attacked, to the point that he suffered death threats and the hacking of her social media networks. 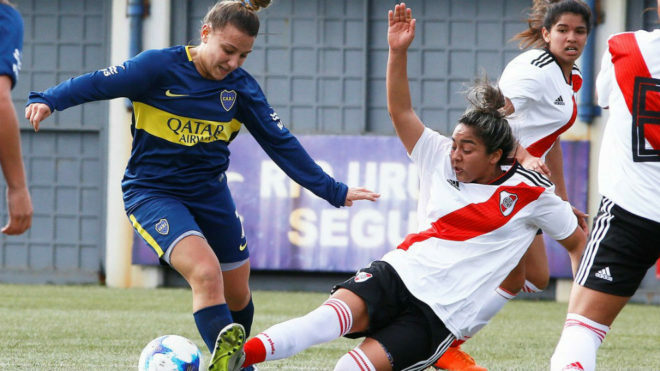 The footballer was the protagonist of a claim, since last January, which ended up promoting the beginning of professionalism for women’s football in Argentina. In March, the president of AFA, Claudio “Chiqui” Tapia, signed an agreement with Argentine Football Players (FAA) consisting of the subscription of eight contracts to players in each of the 16 clubs that make up the First Division League. And San Lorenzo will kick off with the signing of 11 professional contracts. The AFA will allocate an aid of 120 thousand pesos per month to each club for one year so that they can meet the payment of the salaries of the professional players. Since the signing of the agreement between the AFA and Agremiados, which took place on March 13 at Ezeiza, the clubs had a maximum of 60 days to sign players. The current Women’s First Division League is comprised of Boca, River, San Lorenzo, Racing, Independiente, Hurricane, UAI Urquiza, UBA Soccer, Lanús, Platense, Villa San Carlos, Estudiantes (LP), Excursionistas, El Porvenir, Deportivo Morón and Atlanta. Until now, the soccer players “figures” did not reach $ 5,000 in travel expenses in their teams or in the National Team, which began to have notoriety to achieve the classification of Argentina to the 2019 World Cup after 12 years of absence in the highest competition. Finally, it all seems good now, so we expect that very good thing come up following the decision and helping women’s football develop and increase even more on its popularity among the general public. Women’s football is here to stay!